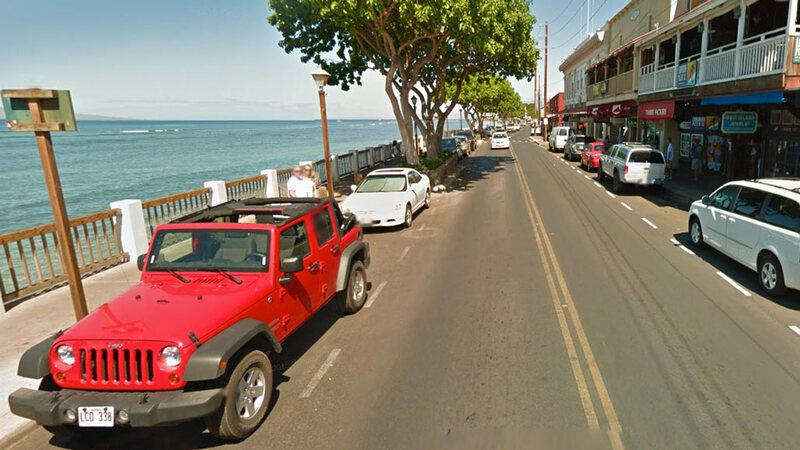 Wranglers (2 door and 4 door Jeeps) are just the perfect vehicle for scenic drives and exploring the island of Maui. Let us know if you have a question for us. What is your cancellation policy for Jeeps? Cancel anytime you please. No fees or penalties to cancel. Use the link in your confirmation email or use the Edit Reservation page. Never. We do not charge booking or reservation fees either. All mandatory taxes and fees are included as your search our website for a Maui Jeep Rental. Do I need an international drivers license to rent a Jeep? You can simply show your home country drivers license. An international license is only for translation purposes and is not a requirement if your home country license is in English language. When do I get a price break for multiple days? Jeep Wranglers are rented by the day, week or month. A full rental day consists of 24 hours. A weekly discount is generally given for 5, 6 or 7 days. Return your Jeep as close to your listed drop-off time as possible. Fees may be added if you return your Wrangler just 60 minutes late. In addition, returning your rental too early, generally one full day, can also be an issue. I don't have a smart phone. Do you rent GPS navigation devices? We typically have GPS units and child safety seats available to rent. Do you charge more for additional Jeep drivers? We can typically get you 1 or 2 free additional drivers. Just let us know your preference when you book. What should I do if there is a mechanical issue or serious problem with my Jeep rental? Return the vehicle as if you were finished with the rental. When you pull up tell them about the problem. Typically you will be in an identical rental within 10 minutes. It's a very simple process. 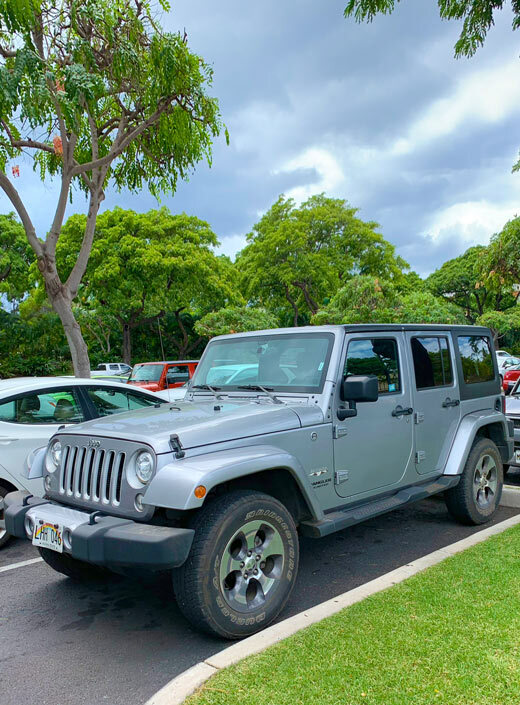 Are your vehicle rentals on Maui lifted Jeep rentals? No. The Jeeps we rent have 10 inches of ground clearance. All our Jeep Wranglers are 4-Wheel drive. No additional lift required on Maui for most locations. NOTE: Lifted Jeeps cost more than our discounted Airport Jeep rates. 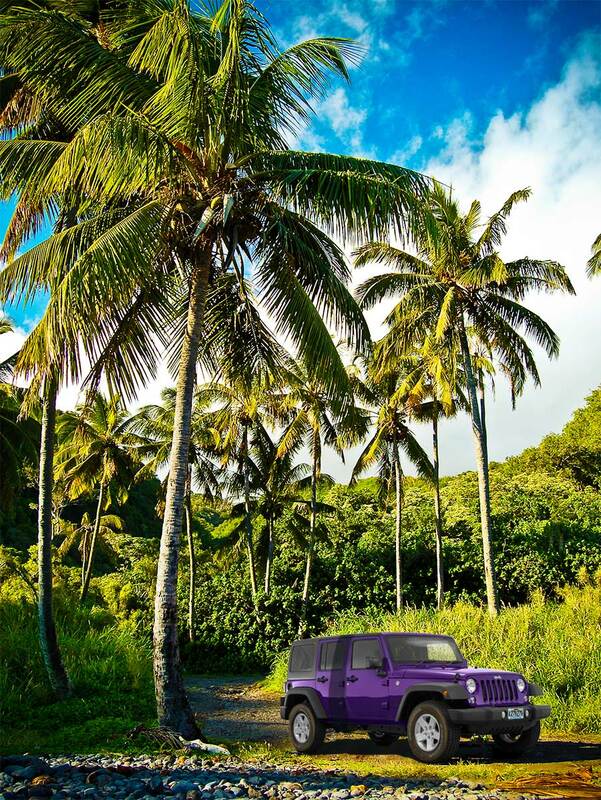 Is Maui Jeep Rental affiliated with Turo? Absolutely not. We never charge you up front for your rental Jeep like Turo. You must prepay if you book with Turo. MauiJeeps.com provides guaranteed reservations that you can reserve now and pay later at the counter. If rates drop you can rebook and cancel your first Jeep reservation. No charge! Will I be pressured to purchase insurance when I pick-up my Jeep? They certainly will. We encourage our customers to confirm they are already covered by a credit card or other insurance for a Jeep rental. If you truly need insurance we recommend getting it through us when you book (savings of about 50% below rental counter insurance purchase). The original Jeep Wrangler SUV. It offers excellent visibility for drivers and passengers. Enjoy 4 wheel drive on all Jeeps.